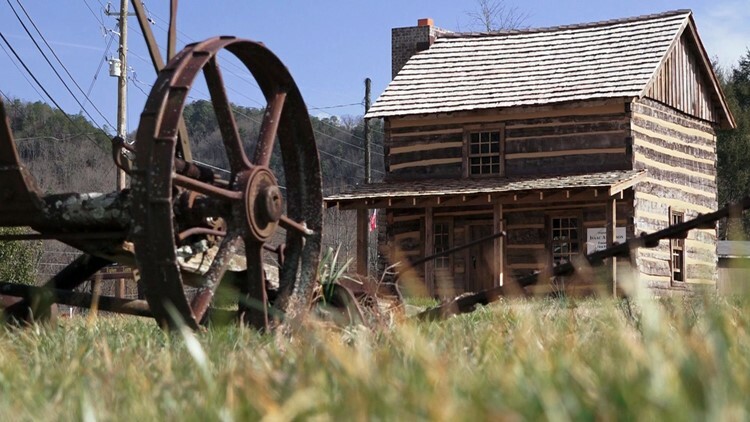 The historic cabin of Maryville College founder Isaac Anderson may be 217 years old, but it's a brand new attraction at the Great Smoky Mountains Heritage Center in Townsend. The cabin was saved and relocated after almost being razed in Knoxville. TOWNSEND, Tenn. — The value of a home is often determined by its location. For the historic Isaac Anderson cabin built in 1802, it was no longer valued by its neighbors in Knoxville in the summer of 2017. "I was out of town and got a panicked call from a friend at Maryville College. She told me the neighborhood association was threatening to tear down the Isaac Anderson family cabin in East Knoxville. 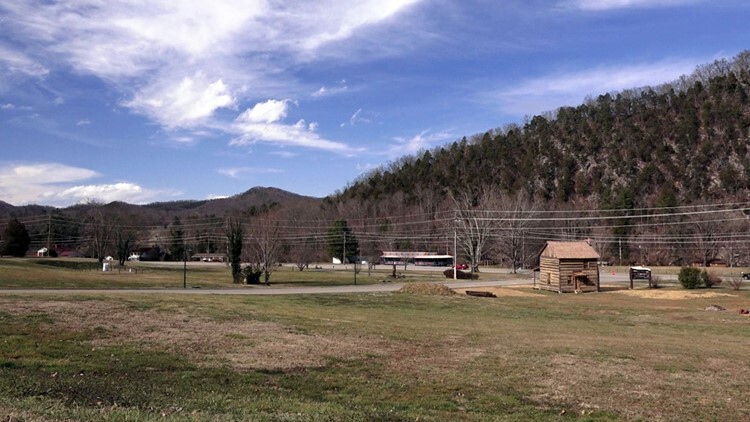 If something didn't happen in six weeks, this cabin was just going to be torn down and hauled away," said Cole Piper, an alumnus of Maryville College and former board member of the Great Smoky Mountains Heritage Center. Piper has personal reasons to care about the cabin as a Maryville College graduate. It was the home of Isaac Anderson, the founder and first president of his alma mater. The Isaac Anderson Cabin, originally built 1802, has been relocated and restored at the entrance to the Great Smoky Mountains Heritage Center in Townsend, Tenn.
"I called another friend who specializes in cabin restoration and he agreed to rework his schedule to take the cabin apart and move it," said Piper. "Bob Patterson at the Great Smoky Mountains Heritage Center gave us a spot to put the cabin. Not only did he give us a spot, it was a prime location at the road in front of the heritage center." "Isaac Anderson was important to the entire region. 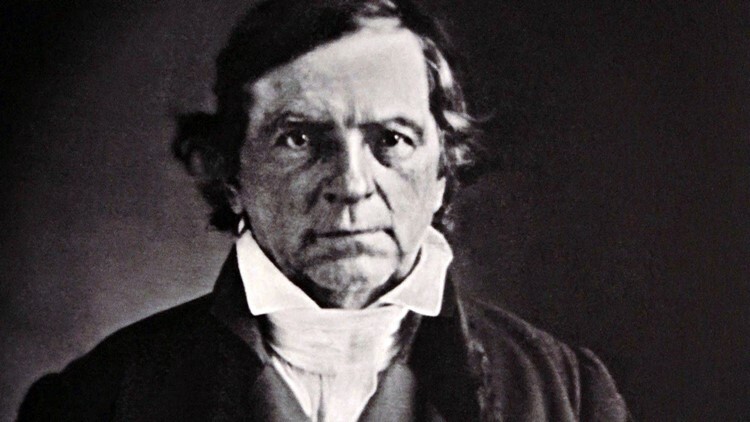 He played such a big part in education and was also a religious leader as the minister at the Second Presbyterian Church in Knoxville," said Patterson. "We have some very old structures at the heritage center, but this is the oldest by several decades." When the cabin was initially relocated to its new home in Townsend, it was far from being a house. 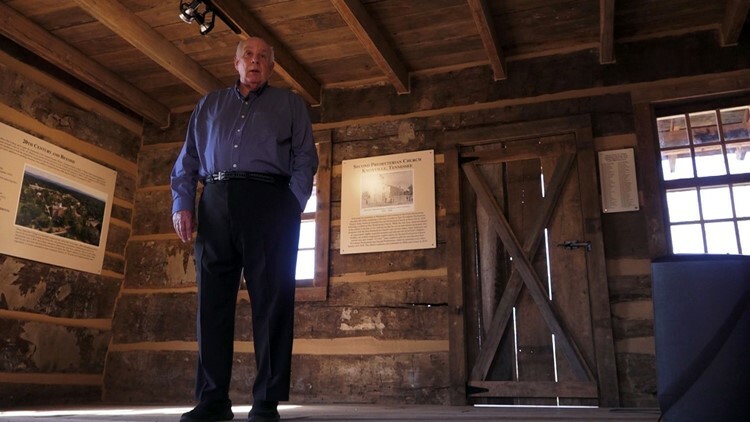 Cole Piper stands inside the fully-restored Isaac Anderson Cabin at its new home at the Great Smoky Mountains Heritage Center in Townsend. "It was a pile of rocks and a pile of old logs," said Piper. "I thought I was done with helping save the cabin, but learned it was going to cost $150,000 to put it back together and completely restore it." Piper teamed up with Maryville College and the Second Presbyterian Church to solicit donations and raise the money to save cabin. The donors ultimately preserved a piece of history that is significant to the entire state. "The first female to graduate in the state of Tennessee was a Maryville College graduate. One of the earliest African American college graduates was a Maryville College graduate. So, I think he [Isaac Anderson] set the tone early on with inclusiveness," said Piper. Isaac Anderson, founder of Maryville College. Throughout the cabin's restoration, it has attracted curious visitors with their own form of cabin fever. "The contractor would get stopped a dozen times by people wanting to know about the cabin," said Patterson. "Everybody just stops and they look. Some get out of their cars and take pictures. It's kind of fun seeing how people react to this being here." The cabin's new location has a prominent position along the road that serves as busy entrance to the most-visited national park in the country. The center will lock the cabin at night, but otherwise leave it open and free for any visitors to stop and look around during business hours. "This is really the best place for the cabin. We could have moved it to Maryville College, but it would probably just sit there and not get very much use. At this spot, everyone can easily get to it and come inside. It will not look very big, but when it was built it was very uncommon to have a two-story cabin," said Piper. The Isaac Anderson Cabin (far-right) stands at the entrance to the Great Smoky Mountains Heritage Center in Townsend. Free admission is clearly a value that's hard to beat. For Piper, he's thankful for all the contributions that allowed this piece of history to find a location where the home can be valued by everyone. "That's what is so gratifying to me. That we have so many people who understood and appreciated the significance of saving this cabin," said Piper. The grand opening ceremony and ribbon-cutting for the Isaac Anderson Cabin is scheduled for Feb. 8, 2019, at 3:00 p.m. at the Great Smoky Mountains Heritage Center. Admission to the event is free.